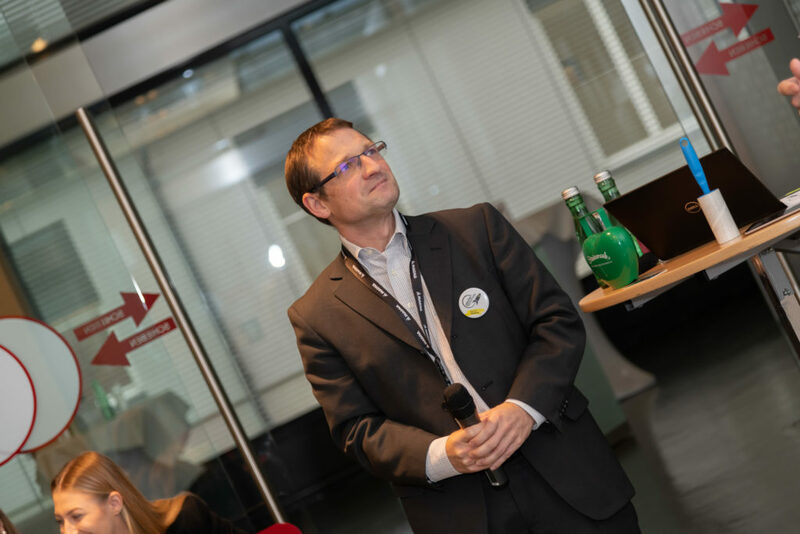 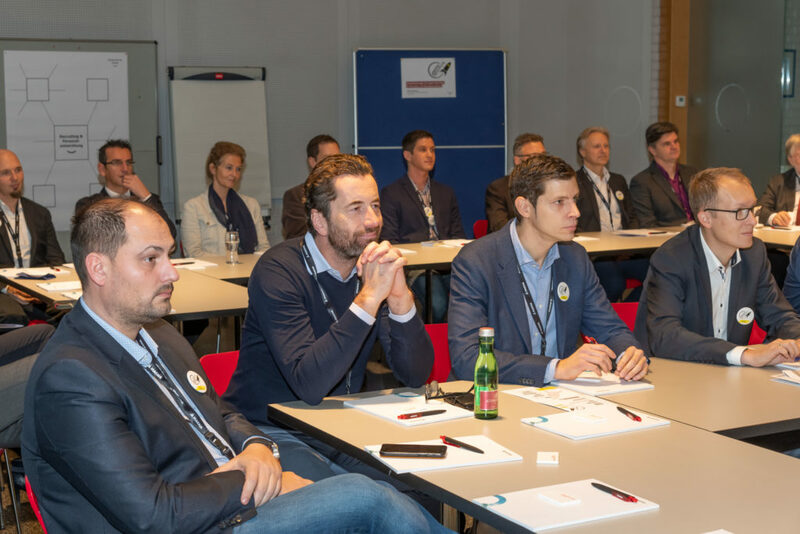 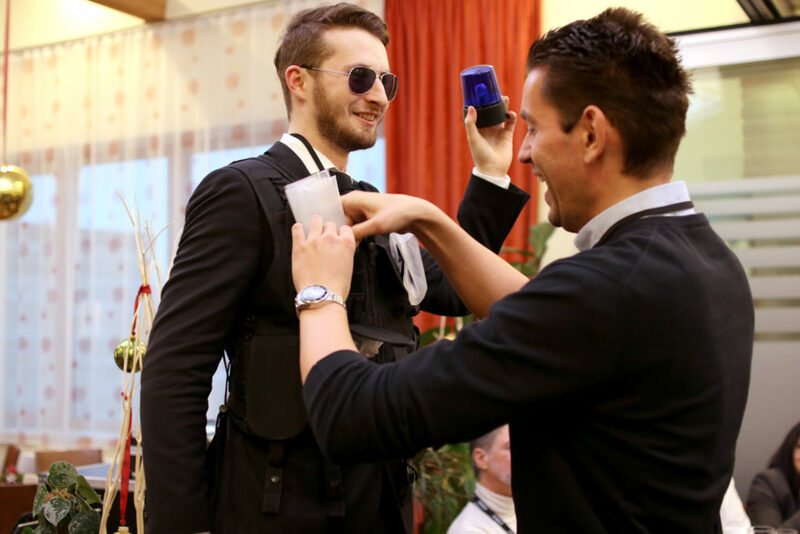 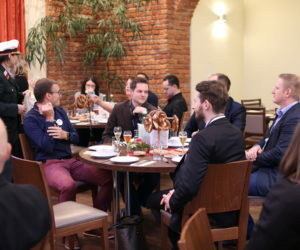 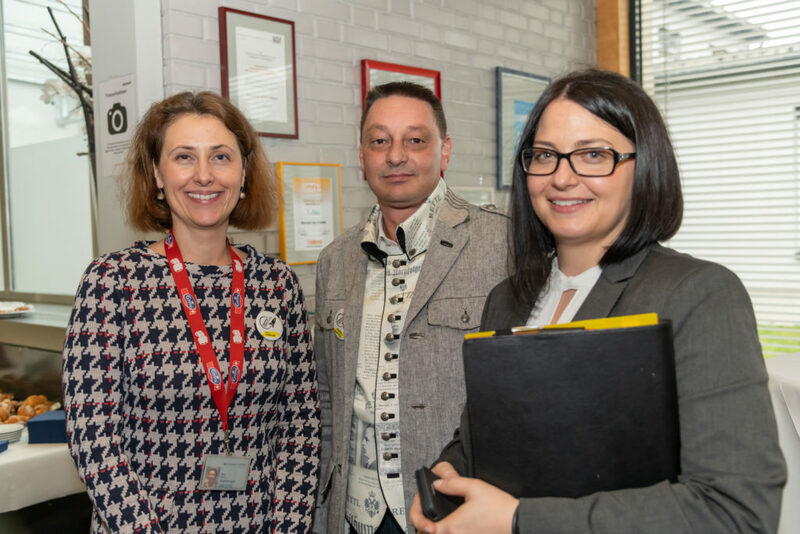 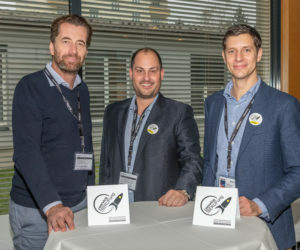 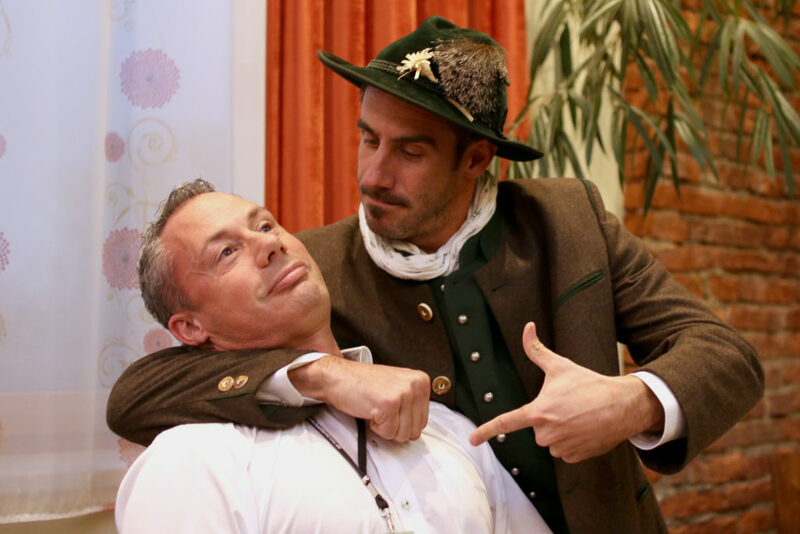 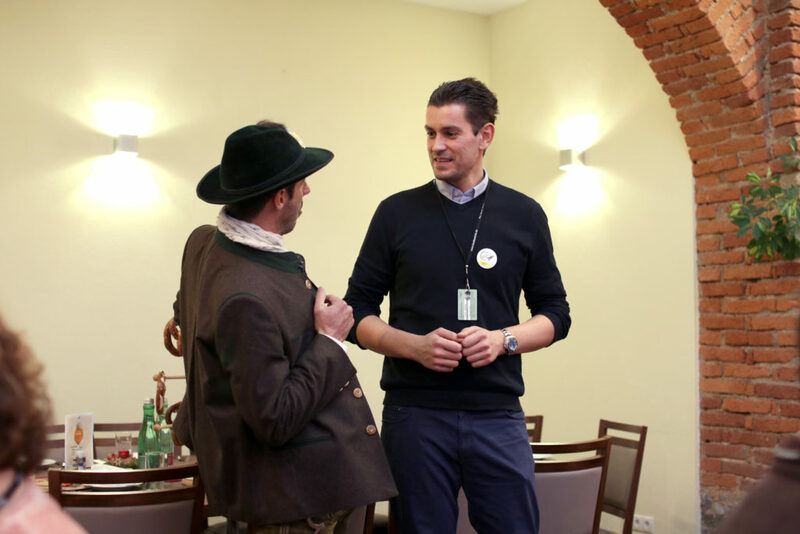 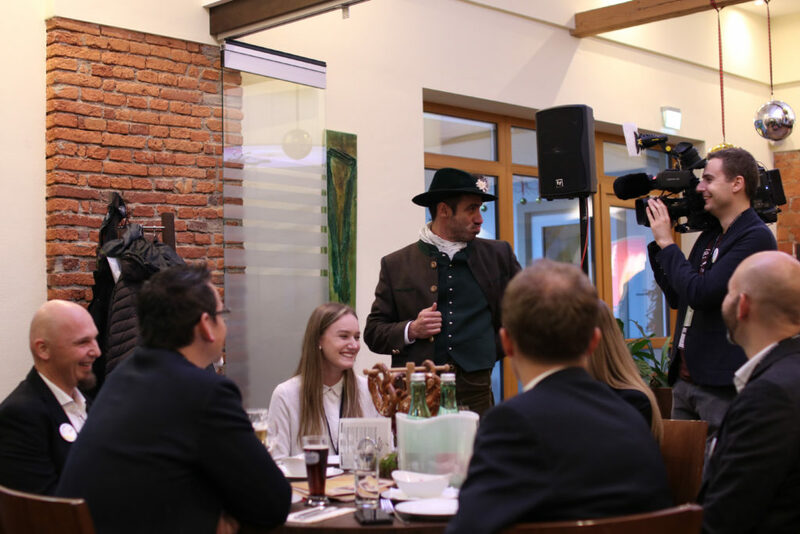 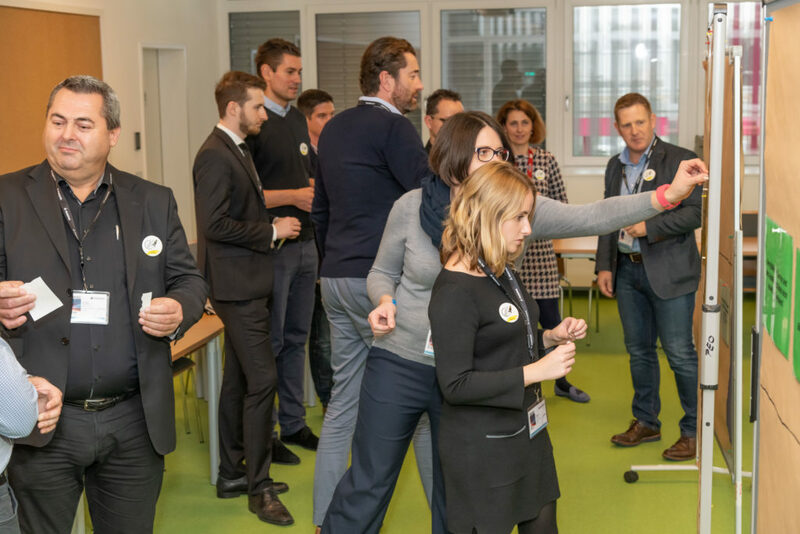 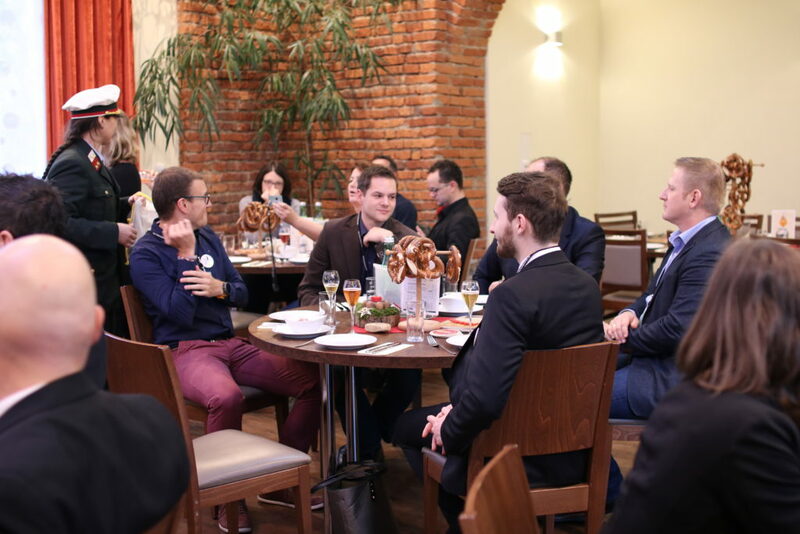 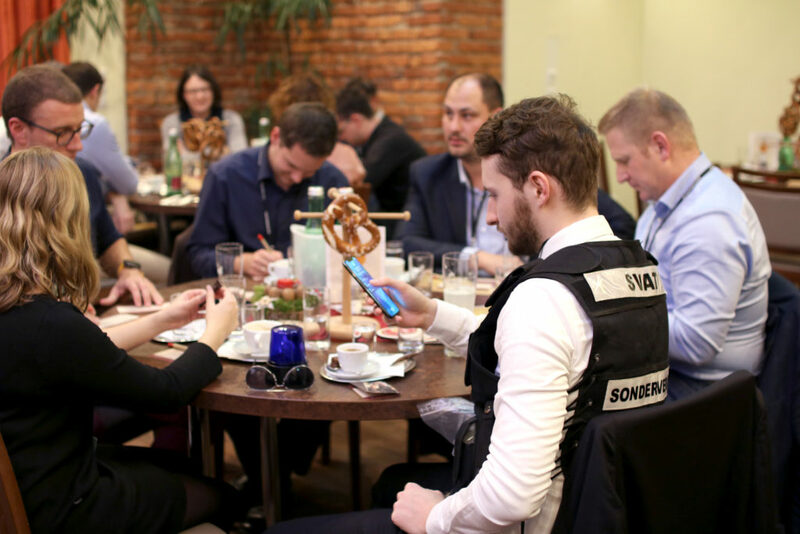 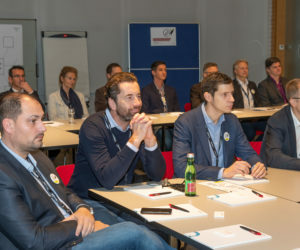 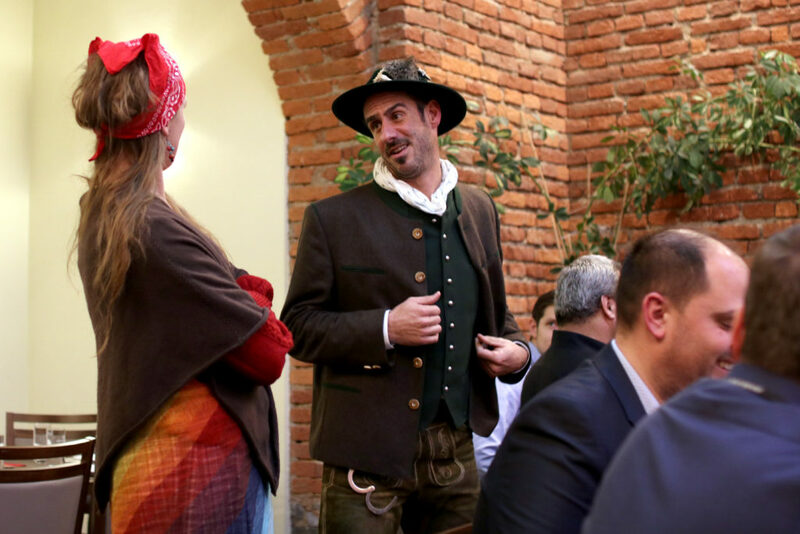 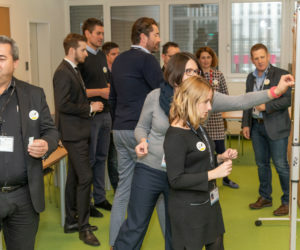 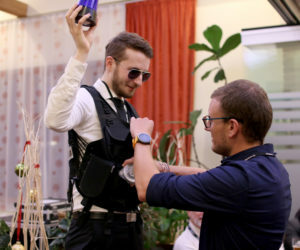 On November 22, 2018, representatives from the 22 member companies of the Styrian Service Cluster came together at MAGNA STEYR AG & Co KG for the organization’s 5th annual event. 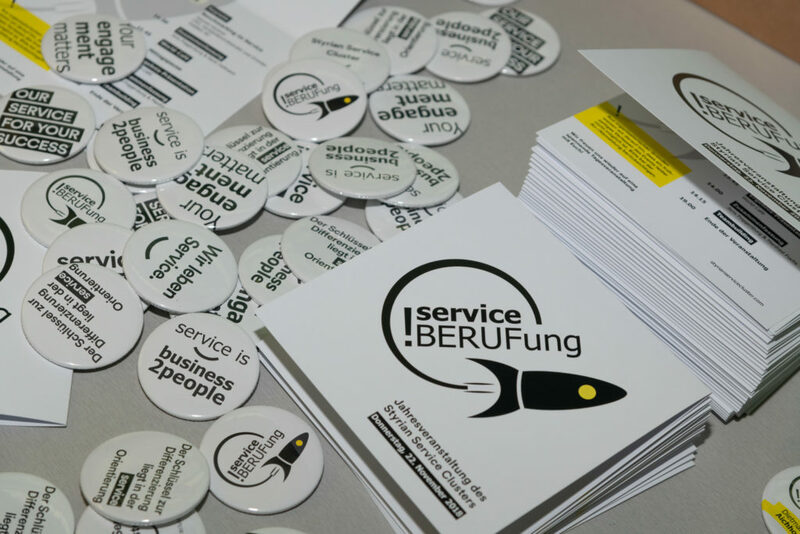 Together, they deliberated over the role of service on the job market under the motto “Mission service!”. 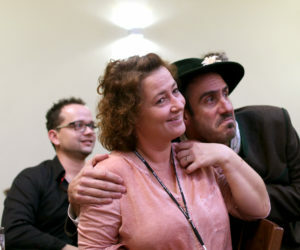 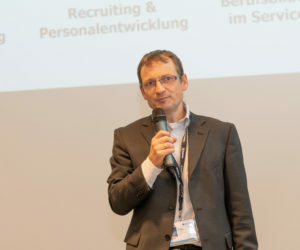 The focus was the relationship between companies and their employees. 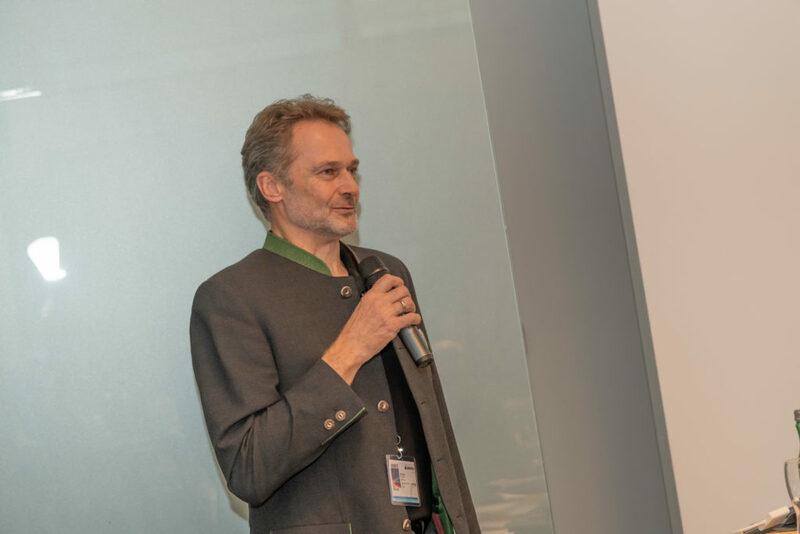 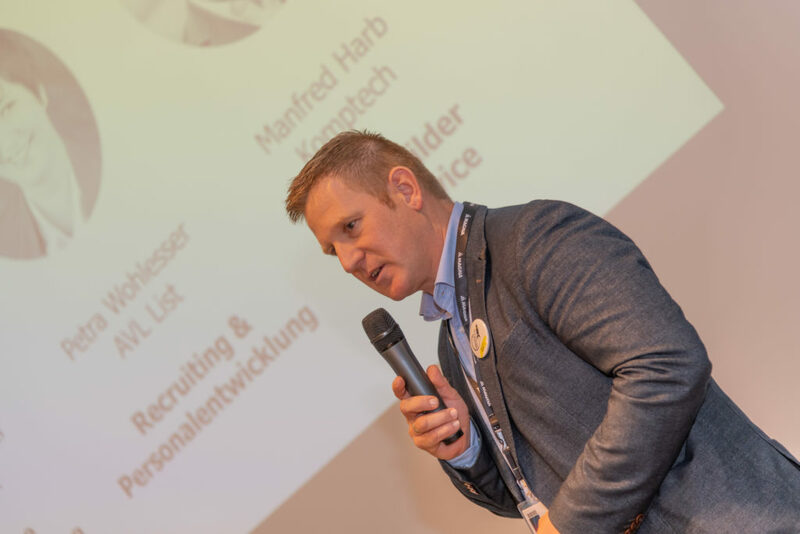 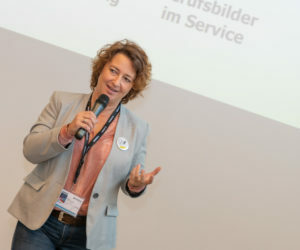 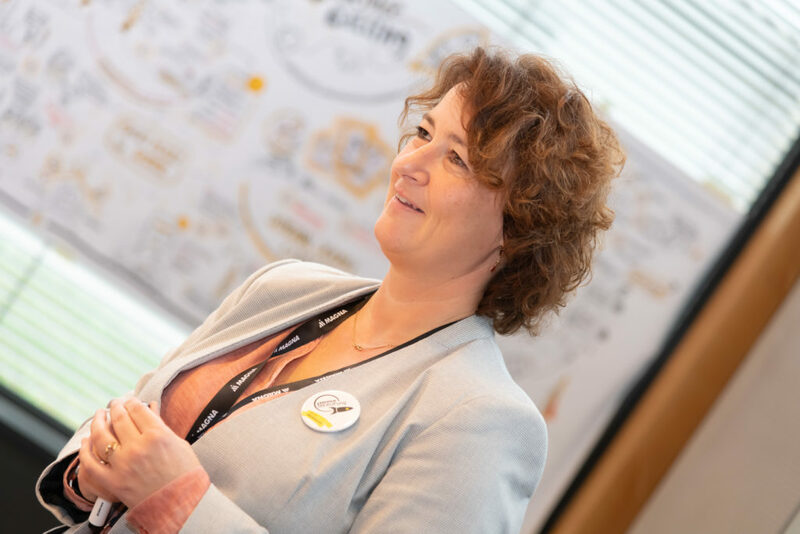 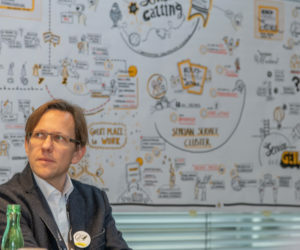 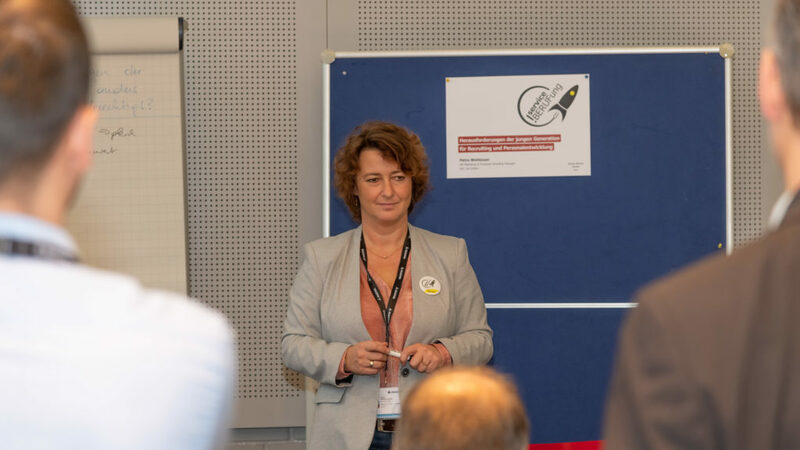 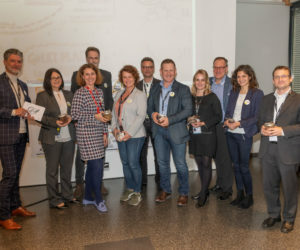 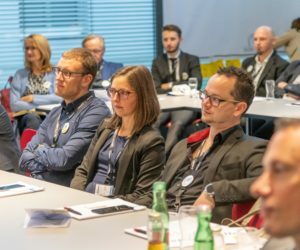 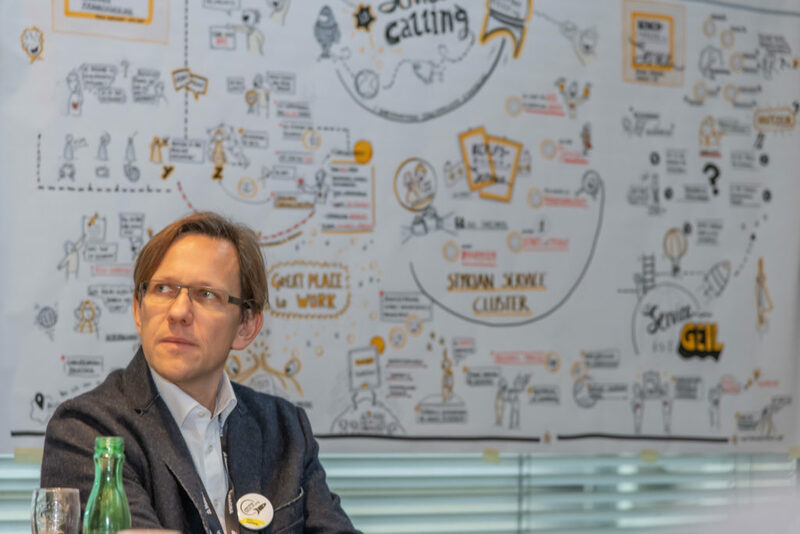 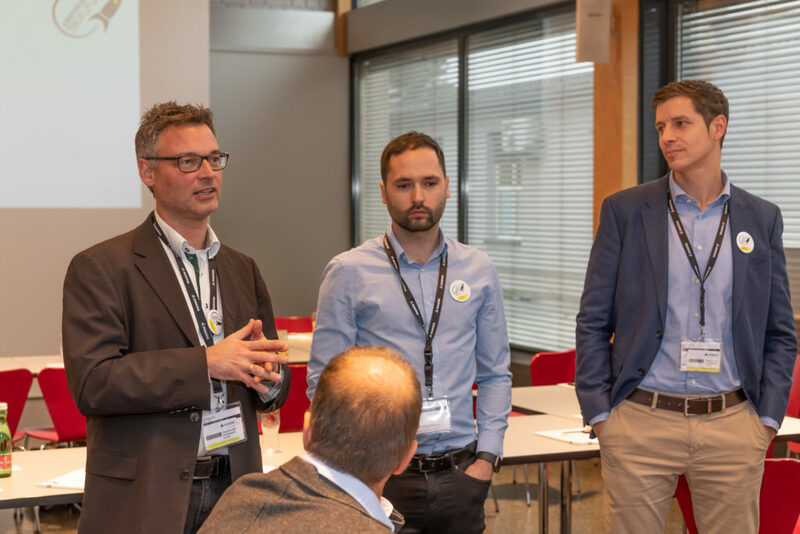 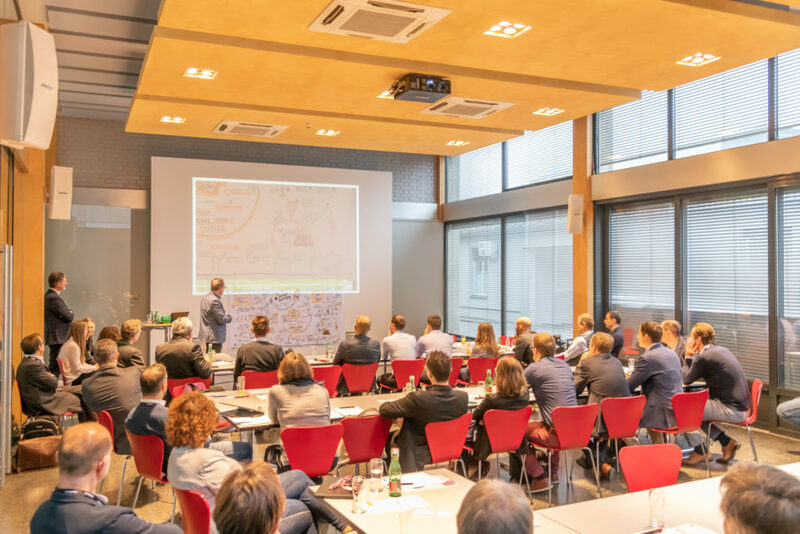 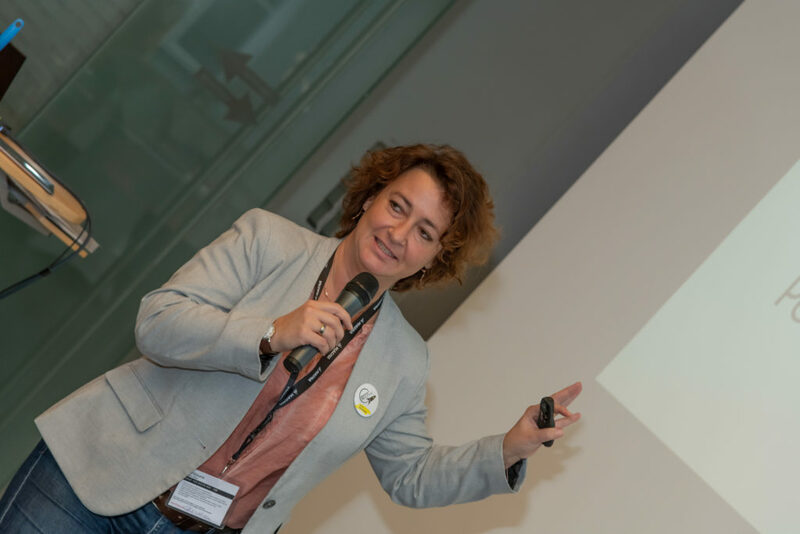 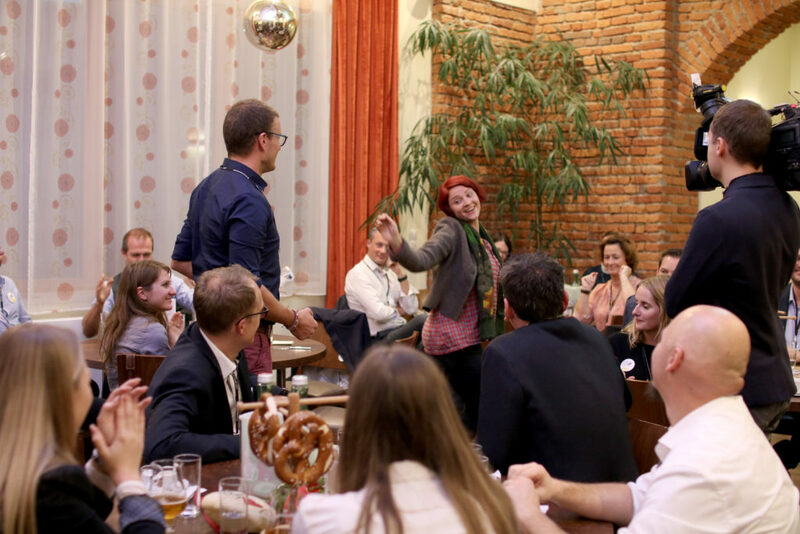 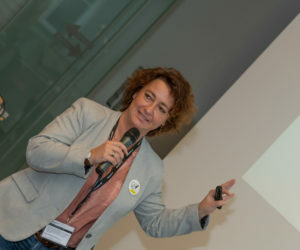 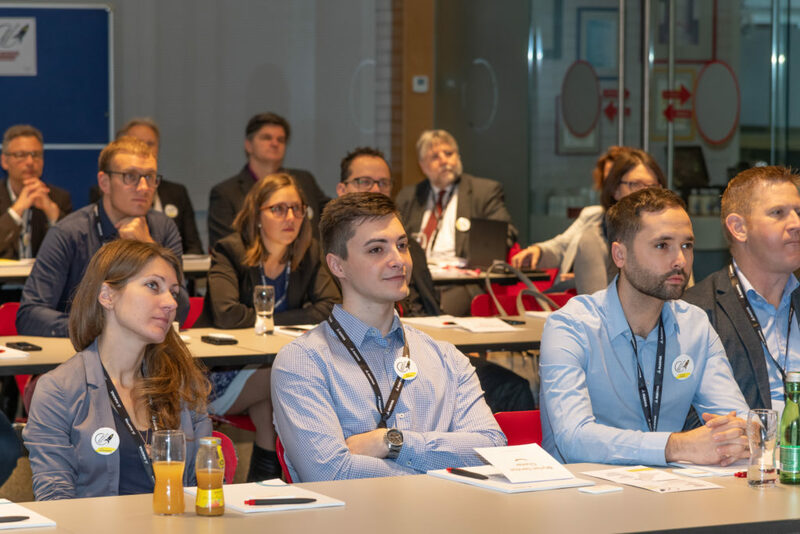 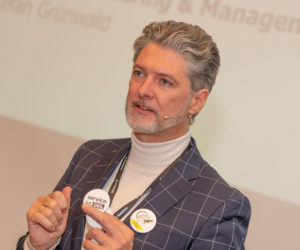 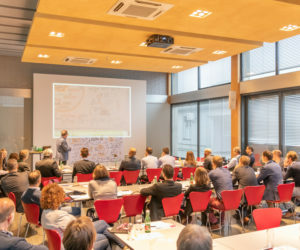 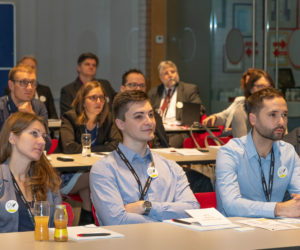 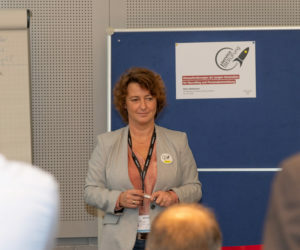 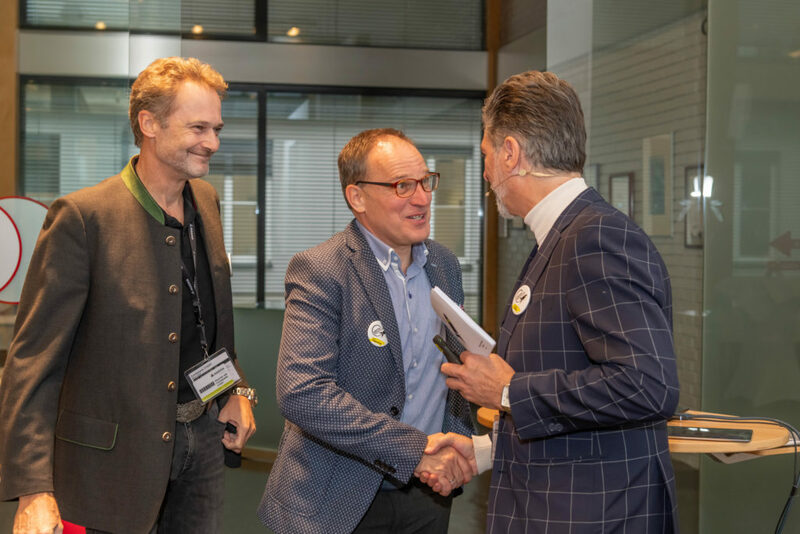 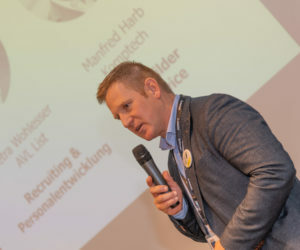 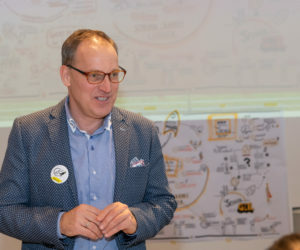 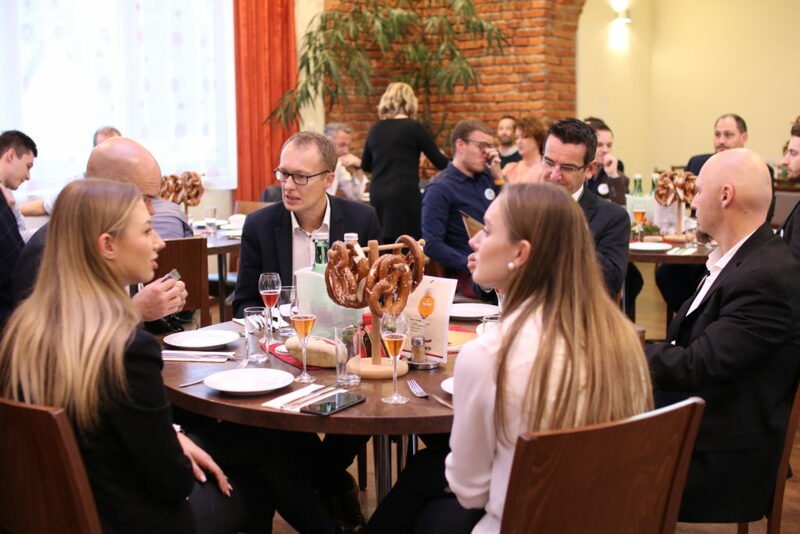 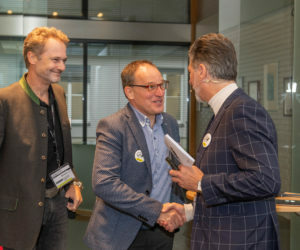 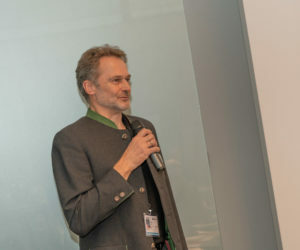 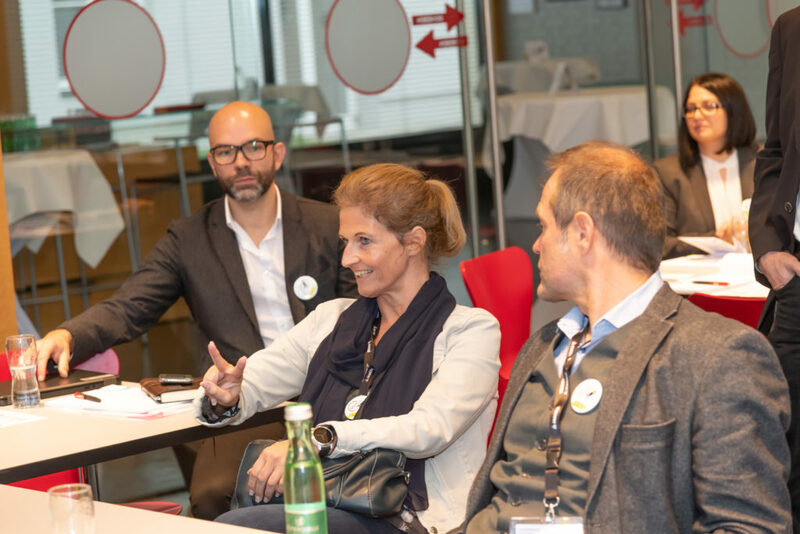 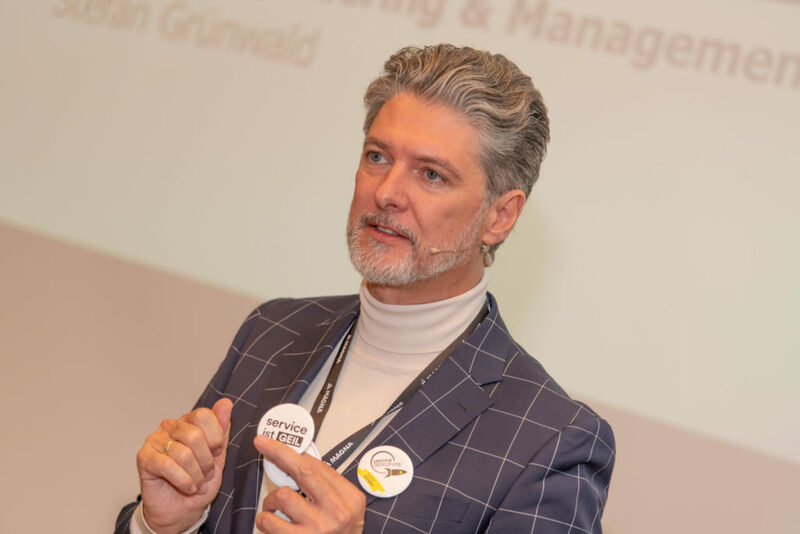 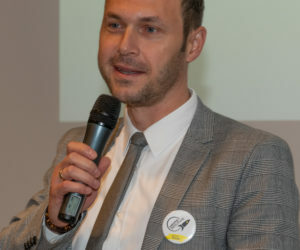 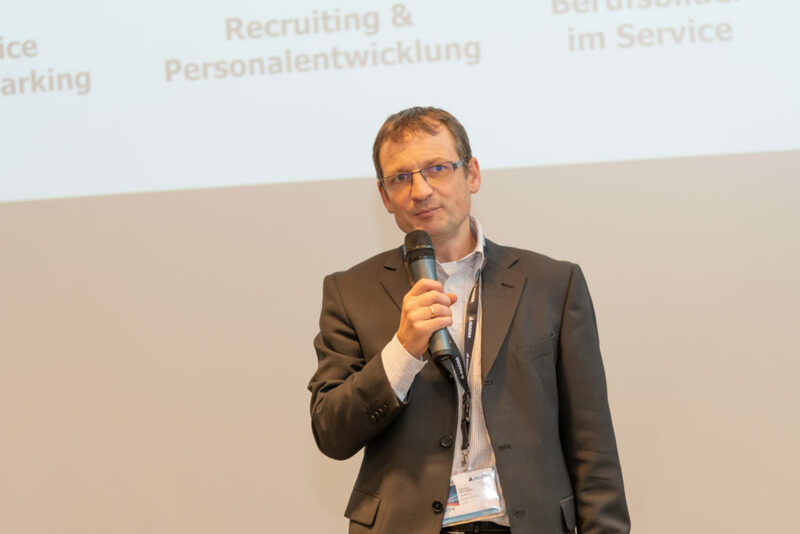 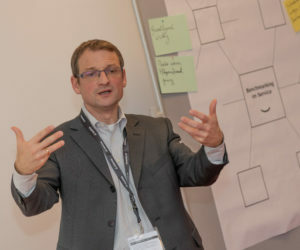 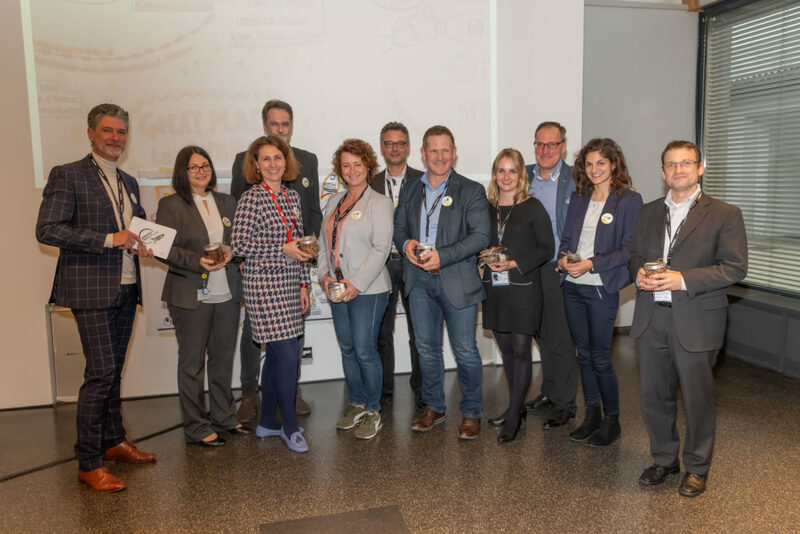 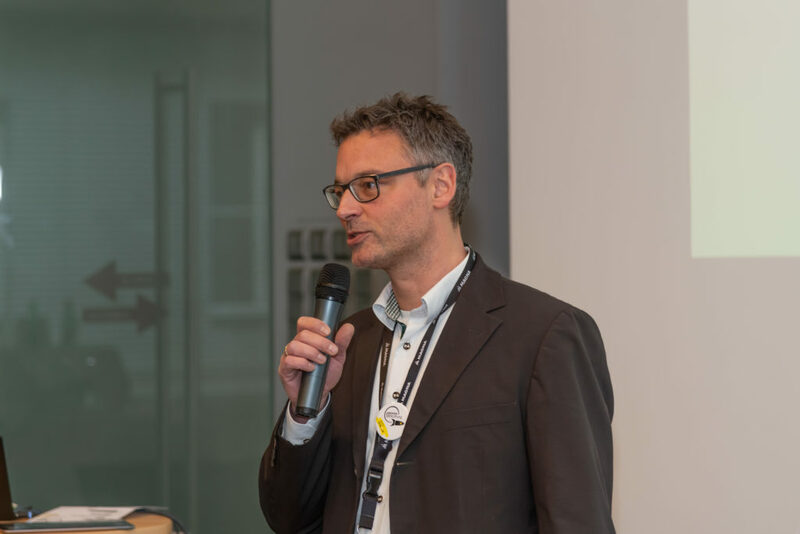 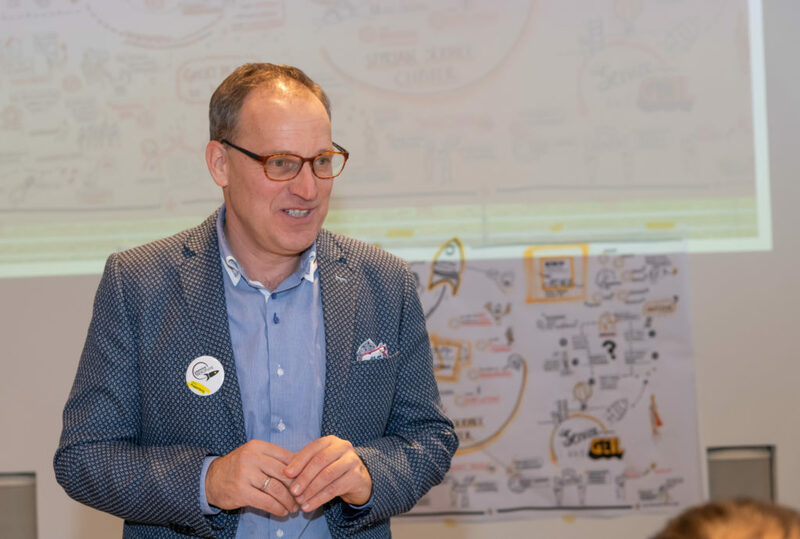 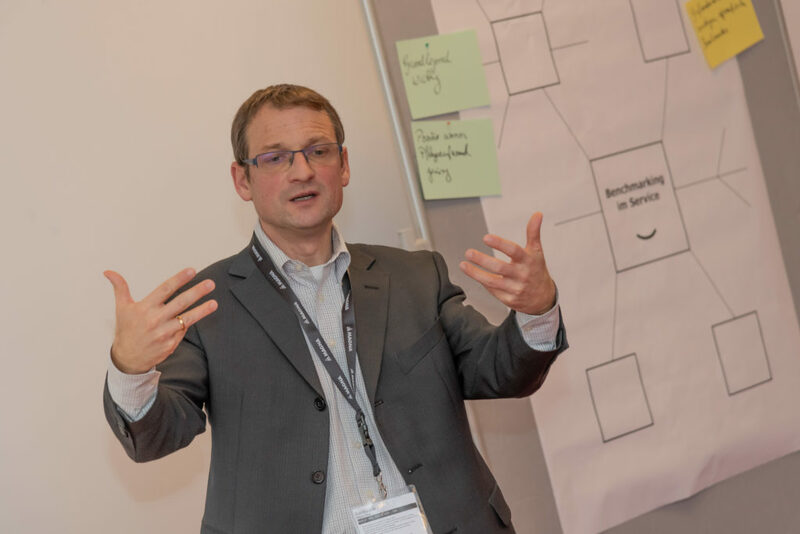 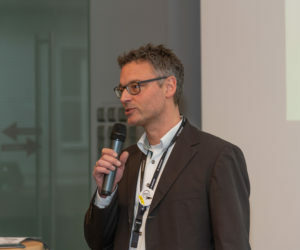 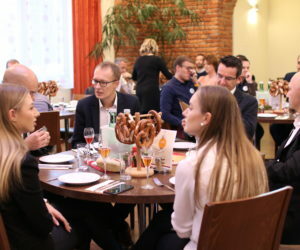 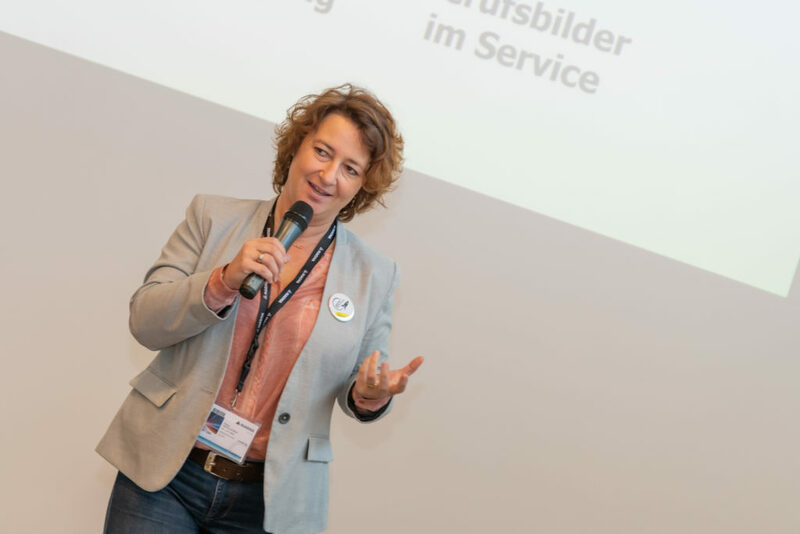 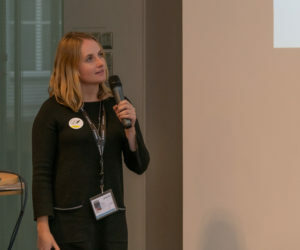 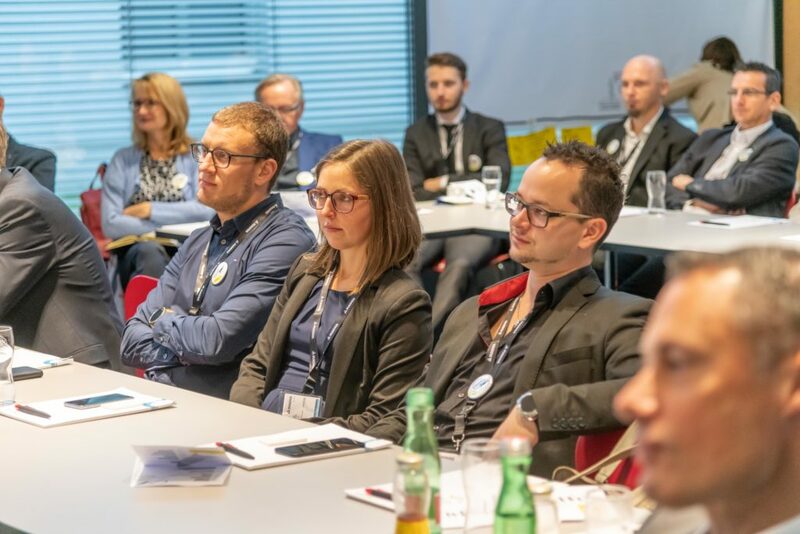 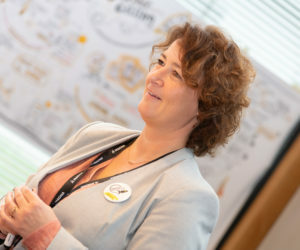 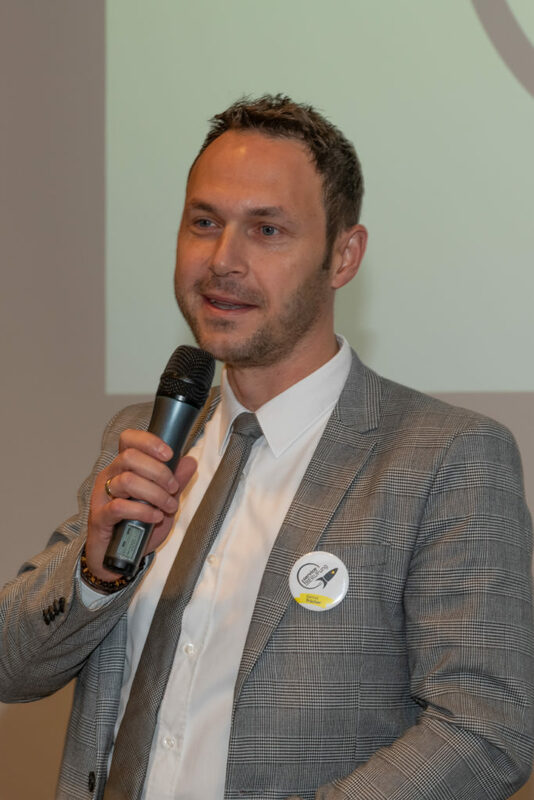 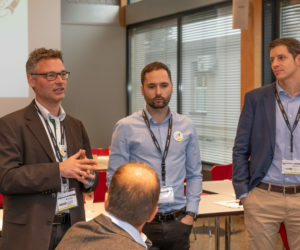 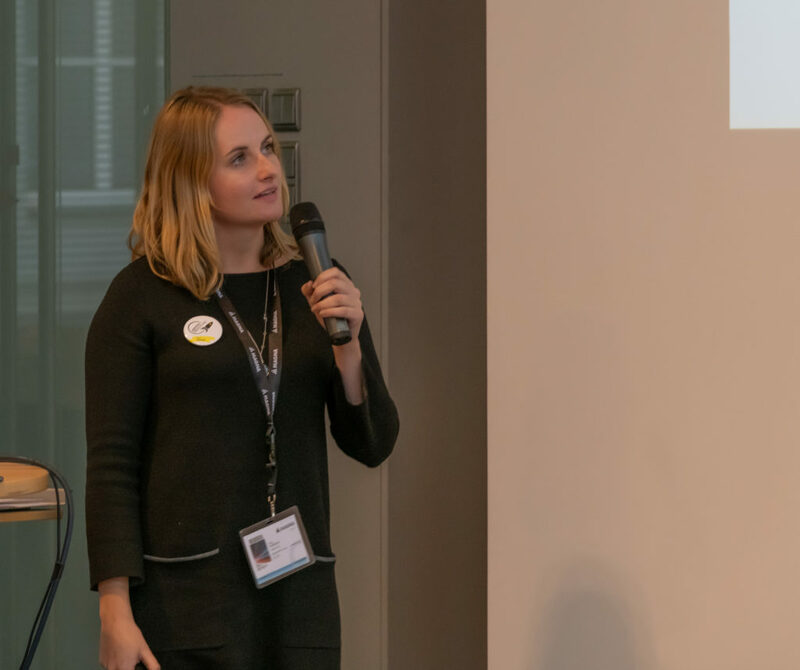 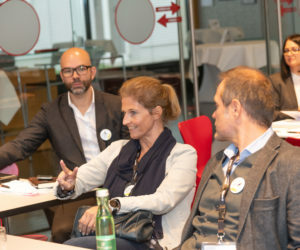 The keynote speeches on human resource development and recruiting (Petra Wohlesser, AVL List GmbH, Graz) and benchmarking (Hannes Heckner, mobileX, Munich) gave the event’s participants fascinating insights into the future developments in service. 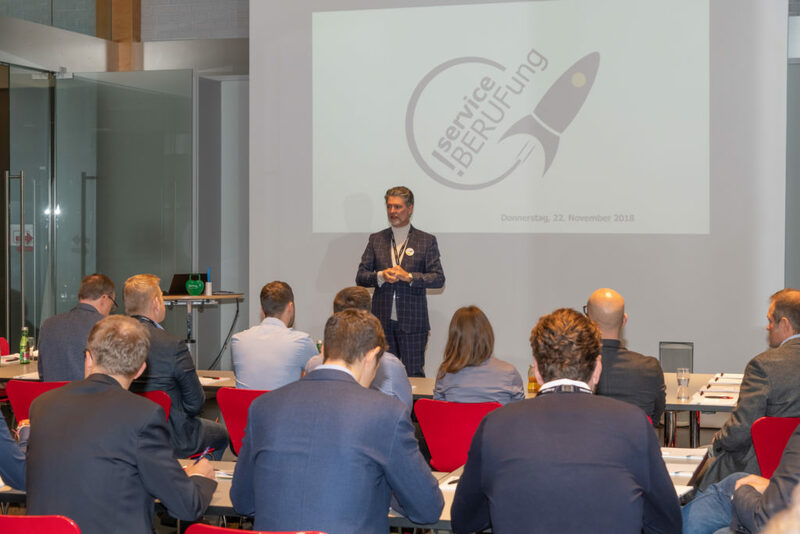 The FH Campus 02 presented their new degree programme established in cooperation with the SSC: “Service Engineering & Management”. 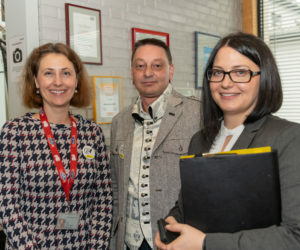 The programme’s first students will begin their further education in service as early as the summer term of 2019. 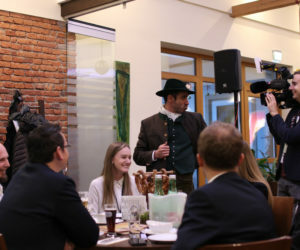 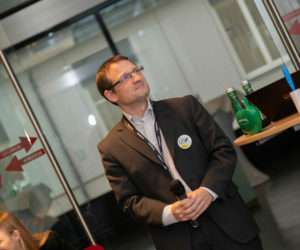 A joint film project was also launched to showcase the Cluster and the job profiles found at each of its member companies. 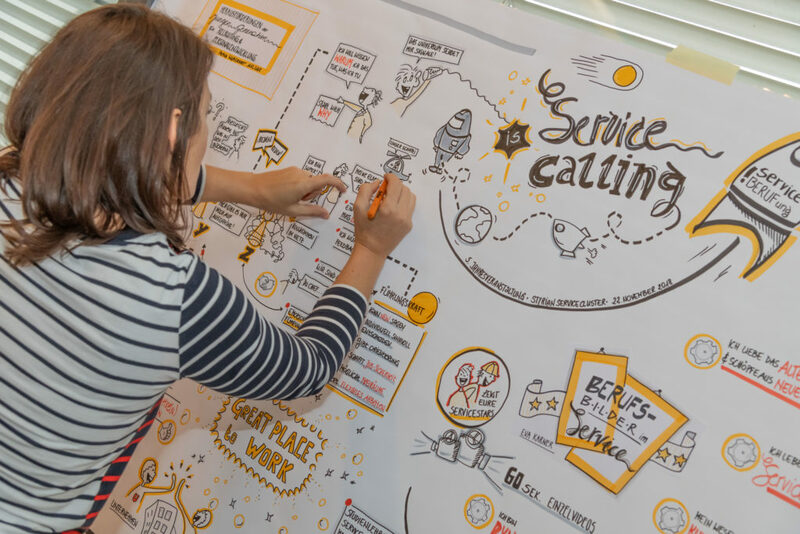 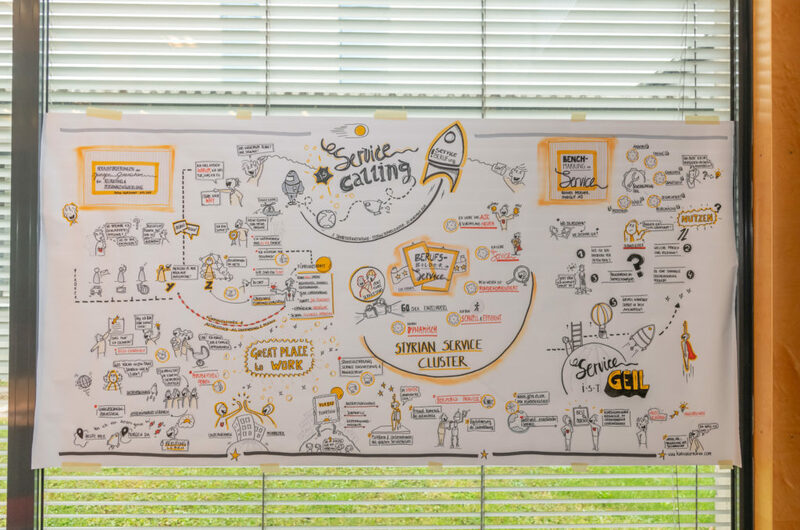 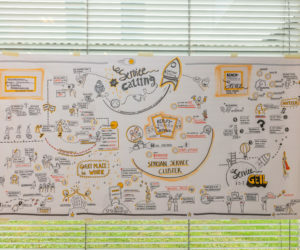 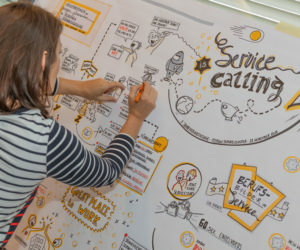 Following on from last year, Karin Hofmann provided a creative visualization of the event’s content using graphic recording. 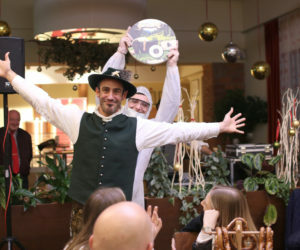 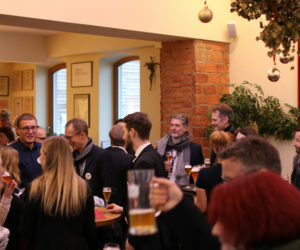 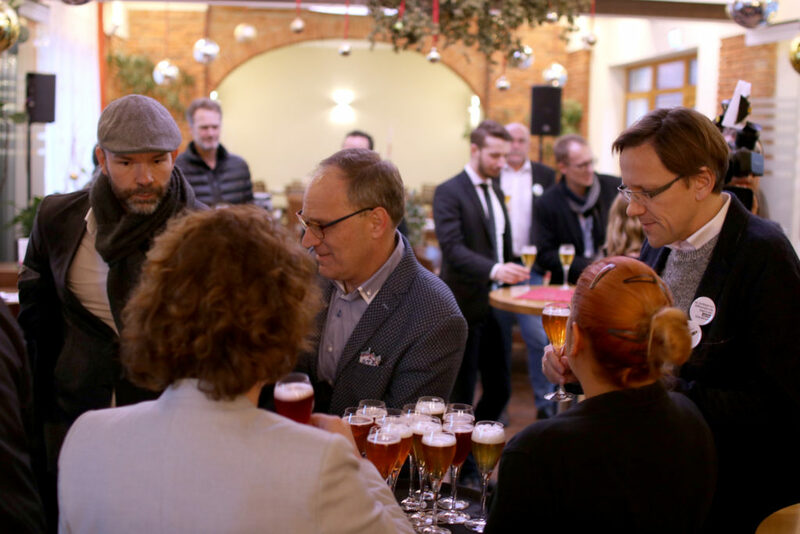 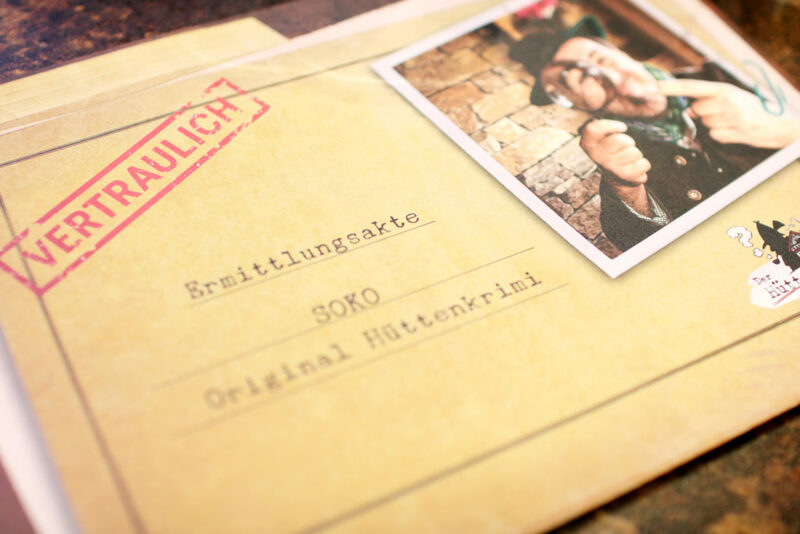 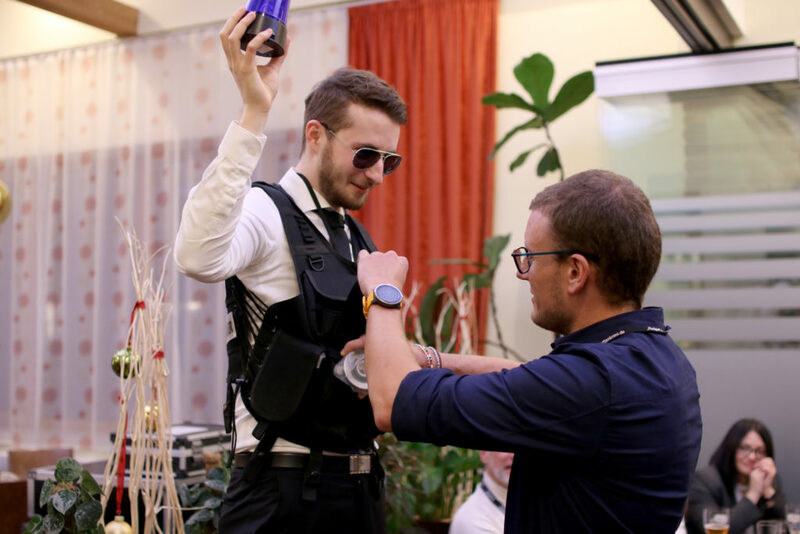 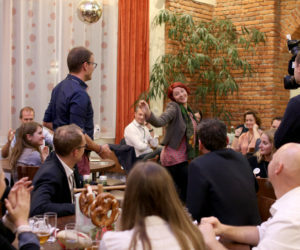 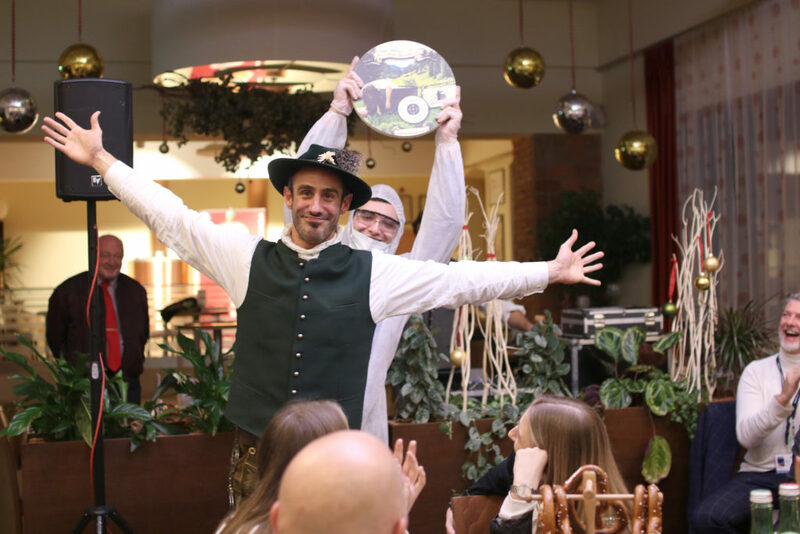 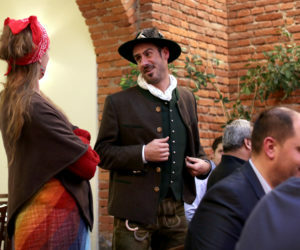 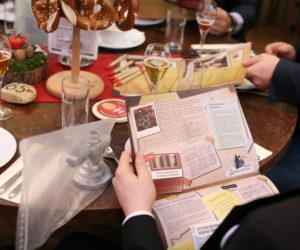 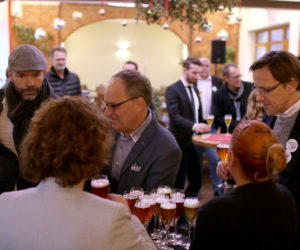 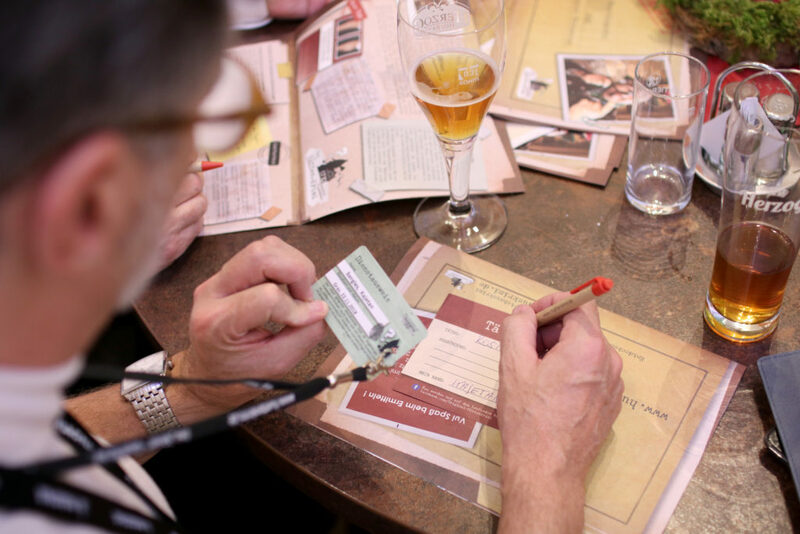 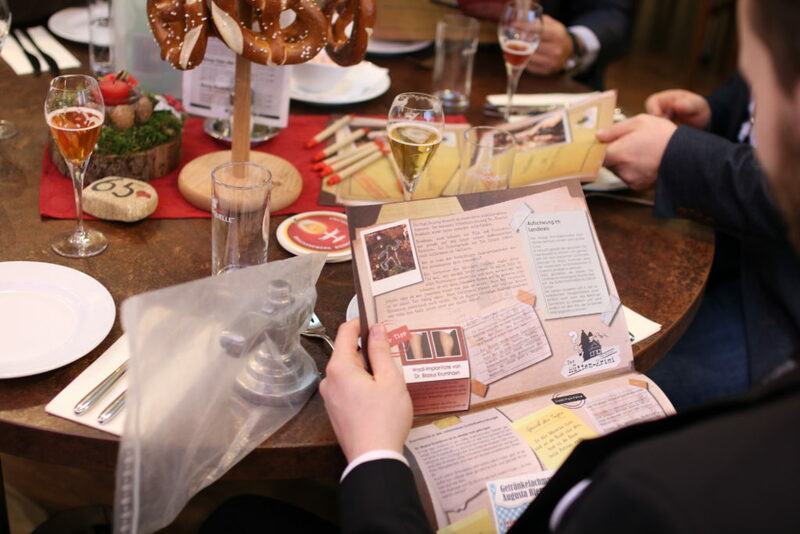 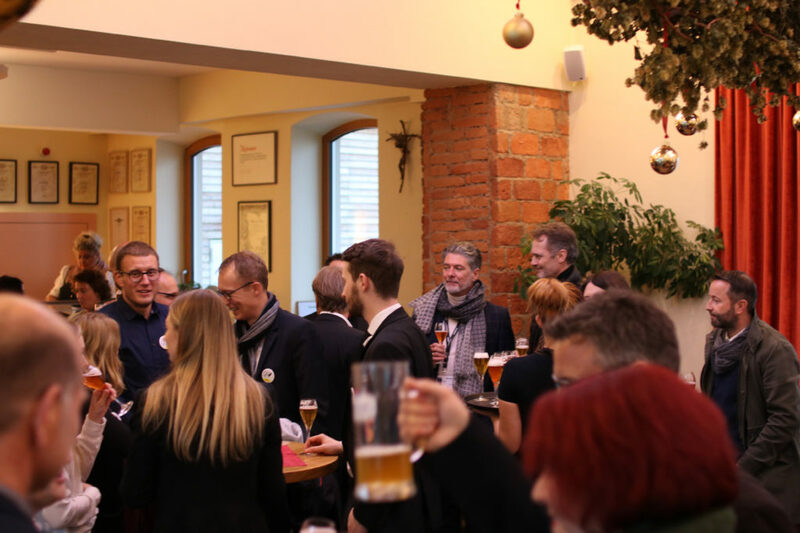 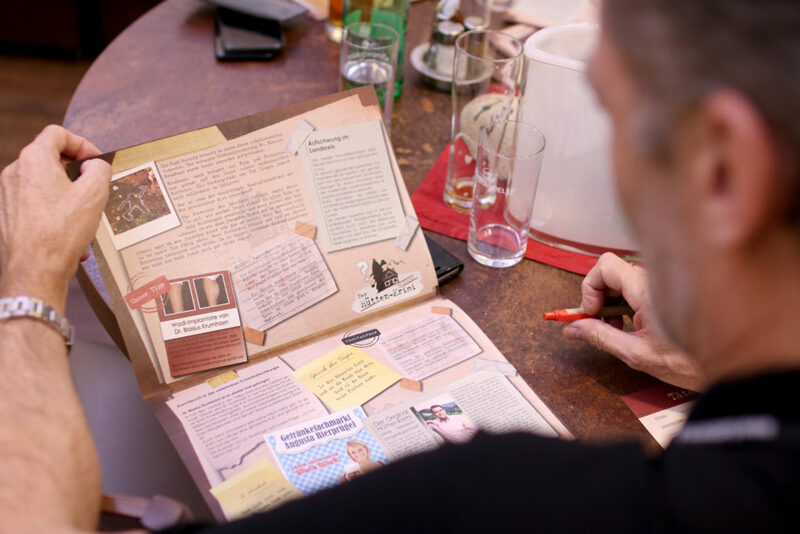 The event was then topped off once again by a team building session, with the participants heading out by bus to the brewery Bierbotschaft. 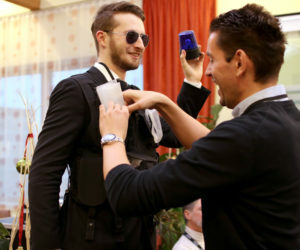 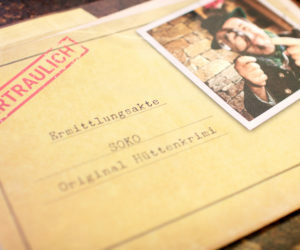 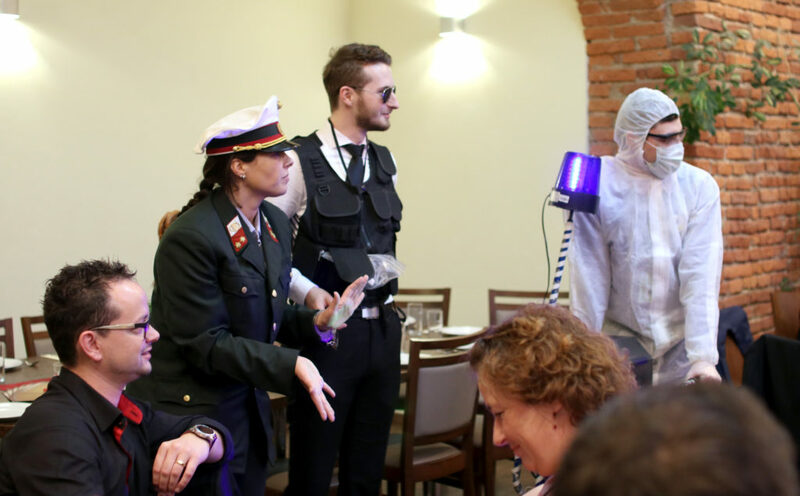 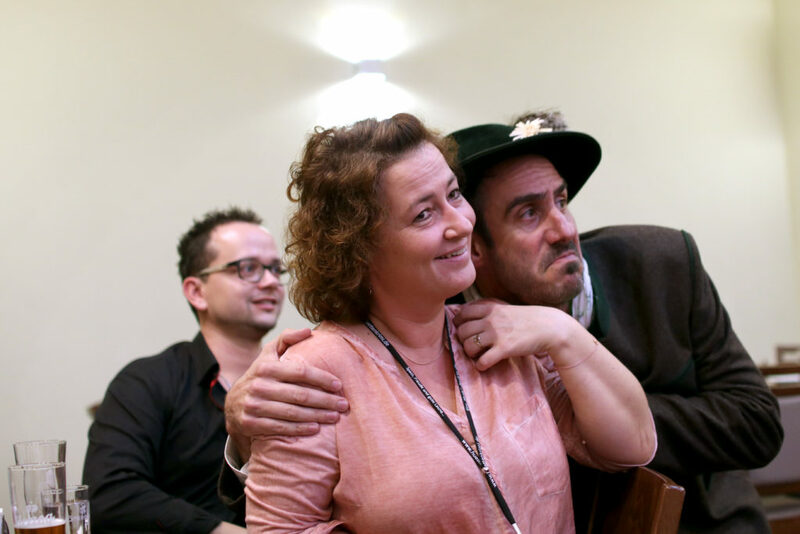 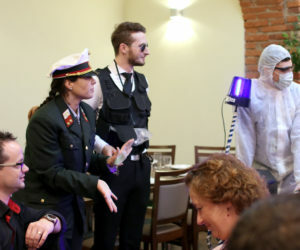 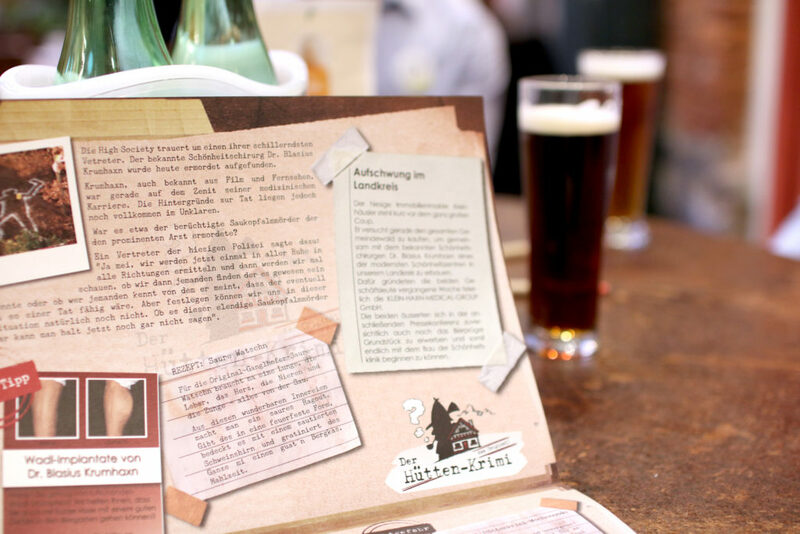 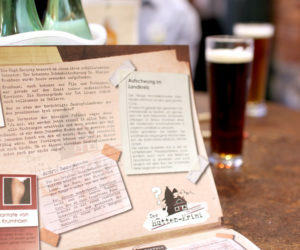 On their arrival at the venue, they suddenly found themselves in the midst of a staged murder case where they were called upon to solve a mystery set in the Bavarian alps. 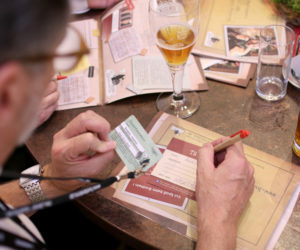 A gripping and fun conclusion to an incredibly informative day. 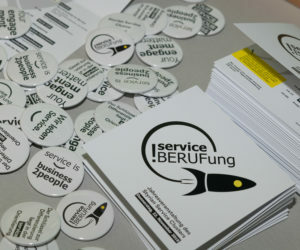 We would like to thank all the participants once again for their outstanding output and for a successful day well spent!